For more than 70 years there has been strong bipartisan support in the US and Europe for the transatlantic alliance. EU-US trade in goods and services is about $1.1 trillion annually with mutual investment over $5 trillion. NATO is still in business. But now these ties are weakening by the day as the Trump administration increasingly diverges from EU policies. 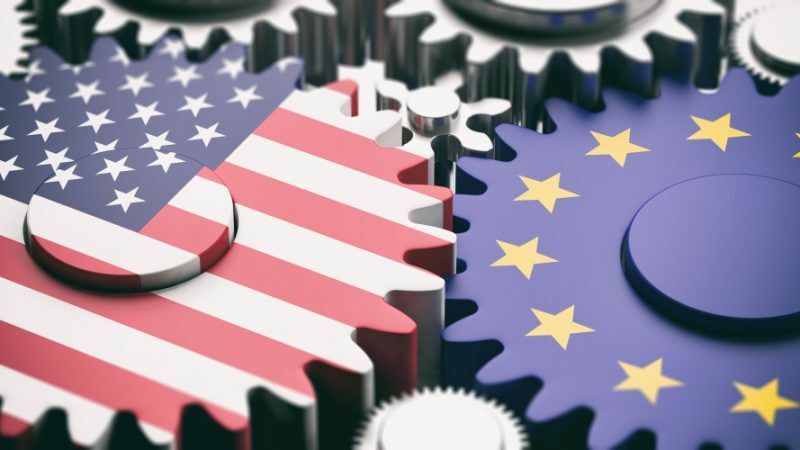 According to the latest Pew Research polls, European trust in the US is at a historic low with less than 14% of the population in the two most important EU member states (Germany and France) having confidence in US leadership. And the appointment of John Bolton, a convinced Euro-sceptic, as national security advisor does not suggest that Trump is keen to repair the damage. The EU must thus do more for its own security working from a stronger internal base. What has Trump done to upset the Europeans? Leaving aside his intemperate language, coarse demeanour and attitude towards women, Trump has walked away from TTIP and the Paris climate change agreement, disparaged the UN, the EU, NATO and WTO, sought to kill the Iran nuclear agreement, embraced Putin, moved the US embassy in Israel from Tel Aviv to Jerusalem, started a new nuclear weapons programme, and threatened to bomb North Korea back into the stone age before agreeing a summit with Kim Jung-Un. He has now started a trade war affecting the EU and most of its main trade partners. The EU has managed to secure a six-week suspension of his planned 25% tariffs on imports of steel and aluminum. But then what? EU leaders seem in a state of shock and paralysis about Trump. At last week’s European Council they spent several hours discussing Russia but had no time for EU-US relations. Tusk, Juncker, and Merkel all have poor relations with Trump. Macron has a better personal relationship and has not been afraid to speak out on differences. May is handicapped by Brexit. Italy has no government. Others are silent. So how should the EU act? In the past, when there was an American president they did not like such as George W Bush, the EU simply waited things out and hoped for an Obama figure. But Trump seems to reflect a more systemic change in US attitudes. Americans are no longer so keen to act as the world’s policeman and get involved in costly foreign wars. There is no evidence that the next US president, whether Democrat or Republican, would wish to reverse this retreat into quasi-isolationism. If the EU were simply to wait this time, perhaps for another seven years of Trump, the transatlantic alliance might simply wither away. John Bolton and many others in the White House view the EU as more of a threat than the closest ally of the US. The destruction or atrophying of the alliance, however, would only serve Putin who would feel emboldened to flex Russian muscles. This is why the EU must follow Merkel’s warning and take steps to look after its own security. From an American perspective, why should the US still shoulder the lion’s share of the security burden when the EU is as rich as the US and has more troops in uniform than the US? And is Russia such a serious threat when its GDP is only the same as that of Spain? The EU should not seek an abrupt abrogation of American leadership. There are still many in the US who condemn Trump’s foreign and trade policies and one can only hope that the checks and balances built into the American constitution prove strong. But the EU will have to stand up and defend its support for the multilateral system as well as the specifics concerning Paris, Iran, the WTO, etc. This will be easier if the EU operates with a strong internal base. Merkel and Macron are a solid duo but internal problems still prevent countries like Italy, Spain, and Poland playing a full role on the foreign policy stage. And EU leaders are facing fresh elections next year which will impact on their ability to make decisions. The institutions will need strong leaders. The outcome of the EU’s fight against centrifugal nationalist and populist forces is not assured. These forces are a major threat to democracy and this is why it is so important for the EU to show that it is relevant to citizens’ lives, part of the solution and not the problem. The EU also has to explain better its comprehensive approach to security to the US and its own citizens. It is not just a question of spending more on defence (the American 2% obsession) but of tackling security problems with a comprehensive set of tools – military plus diplomatic, political, economic, technical, etc. You can easily bomb a regime into submission but it is much more difficult to ensure that a country has functioning institutions and a half-decent economy. Think Afghanistan and Iraq. It is thus essential for the EU to deal with its internal problems in order to become a more self-confident security actor and thus a more reliable and credible partner for the US in the future. This is the only way to save the transatlantic alliance. Agree. It is high time that the EU ceases to be a poodle of American foreign policy. Ceases to follow America from behind. It must stand up on its own and have its own foreign policy, the multi-lateralism it talks about has to show itself more. It must get out of the Cold War mentality which seems to be coming back. It does bot have to agree with the US on all major issues. it must have its own distinct positions. For all these to happen, its internal divisions have to be healed. It renewed its principle of pooling sovereignty rather than emphasizing national sovereignty and independence. Countries must learn to sacrifice for the common good rather than emphasizing national interests that cannot be ignored no doubt. Where is the balance? It is only by coming together and acting together that EU members cannot benefit. Small countries in the EU have no weight on their own on the international scene and could be influenced and dictated to in the long run. There should be long term thinking rather than short term simply bowing to immediate pre-occupations and gains.